The Chinese Ambassador has walked out of the Green Party convention after criticism by John Gormley of China's role in Tibet. Ambassador Liu Biwei walked out as Mr Gormley delivered his leader's speech shortly before 9pm. Mr Gormley told delegates that human rights must extend to all countries and cultures. He said one country which has been expoloited and suppressed and suffered for far too long is Tibet. He said the party condemns unequivocally the flagrant abuse of human rights by the Chinese government and called on the Chinese government to enter dialogue with the Dalai Lama. 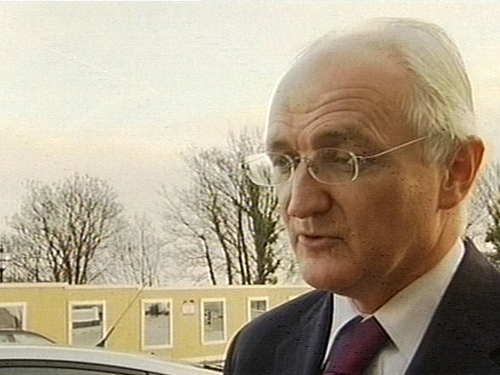 After he left, the ambassador told RTÉ News that Chinese people loved peace and wanted good relations with Irish people. 'I hope our relations with Ireland, including economic relations, can go on,' he said. Mr Liu said he had been invited to the Green Party convention to participate. He said he had not expected Mr Gormley as leader of the Greens to say what he had said. Mr Liu said Mr Gormley's position that Tibet is a country is 'totally wrong'. He said now around 200 countries in the world recognise Tibet as an integral part of China's territory. He said Mr Gormley had accused the Chinese Government 'without knowing what is truly happening there'. Mr Liu said he had to lodge his strong objection to Mr Gormley's remarks and had to leave the hall to make his 'strong protest'. Mr Gormley used his leader's address to his party's annual convention in Dundalk to make an appeal to politicians on all sides not to play politics with climate change. He appealed to members of the opposition to 'put away the petty squabbling and cheap shots, forget the nonsense and come on board' and work with the Greens in Government in the best interests of the country and the planet. He said people in society are beginning to understand that climate change is the biggest challenge facing humanity. Mr Gormley told delegates that his party knows and recognises that they can never get everything they hoped for in Government, but equally they know that outside of Government they can achieve nothing. Outlining some of his party's achievements in Government to date, Mr Gormley highlighted changes in the car tax regime and the introduction of new rules to make sure new houses will be 40% more efficient. He told delegates that new residential guidelines for urban areas will combat urban sprawl in towns and villages and promised that as long as the Green Party was in Government, the days of bad and irresponsible Government are over. He said with his party in Government, the trend toward centralisation will stop and the forthcoming publication of the Green Paper on local Government will lead to the election of mayors with real powers first in Dublin and then in other parts of the country. He said the party's position on entering Government on standards in public life had not changed 'one iota'. He rounded off his speech by telling delegates that the party has consistently expressed full confidence in the Mahon Tribunal and expressed the hope that it will reach its conclusions quickly. He said it is their 'fervent hope' that all of the tribunals of inquiry will 'root out forensically every last morsel of corruption from Irish popular life'. See a full text of John Gormley's speech here. Communications Minister Eamon Ryan announced that a new code of conduct for broadcasters will protect children from advertising for junk food. Minister Ryan told the convention that the code of conduct will be included in his new Broadcasting Bill, which is to be published shortly. This afternoon, Mr Ryan spoke of the economic and environmental challenges ahead - and said it is right for the party to be in politics to steer the future in the direction it wants. 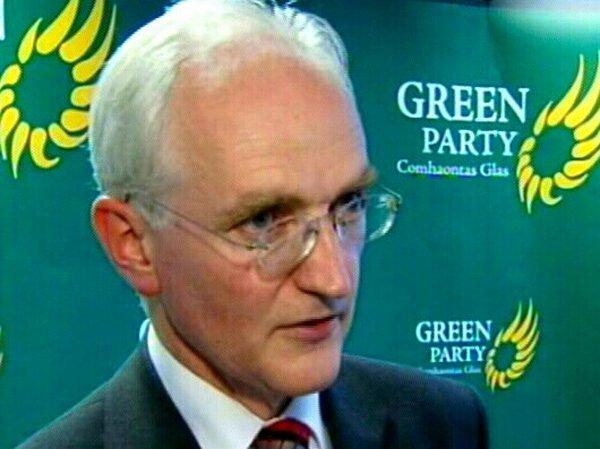 Minister Ryan said he did not fear other parties stealing Green policies - he would welcome it if it speeded up the implementation of the party's vision. Food Minister Trevor Sargent promised a fivefold increase in land devoted to organic farming by the year 2012, while delegates supported a call to end the sponsorship of sporting events by alcohol producers. Delegates also voted for a review of third level funding, with a widening of tax relief to all third level costs, such as accommodation, instead of just fees. Proposing the motion, Waterford Green Party member Catherine Kinsella said you can get tax relief for owning an ‘enthusiastic stallion’, but not for education. The Convention backed a call for a review of the location of centres of excellence for treating cancer, and called for the nationwide availability of Applied Behaviour Analysis, or ABA, teaching for autistic children. That motion was proposed by David Gray of Kerry North, who said it was crucial that Education Minister Mary Hanafin sit up and take notice of the issue of autistic children, and that the question was not whether funding was available or not, but a question of necessity. It is the first time a Green Convention is debating such issues as a party of Government. But 10 months into their first term in Government, the Greens are looking very comfortable with power. Yesterday evening, Party leader Mr Gormley used his welcoming address to outline his plans for local government reform, including stricter enforcement of planning laws, stronger ethics rules for councillors, and greater public participation in council business. And he also flagged another new plan: to allow consumers to recycle batteries at their local supermarket, an initiative he suggested was long overdue.